Case-6694 - Patrick Sullivan, M.D. 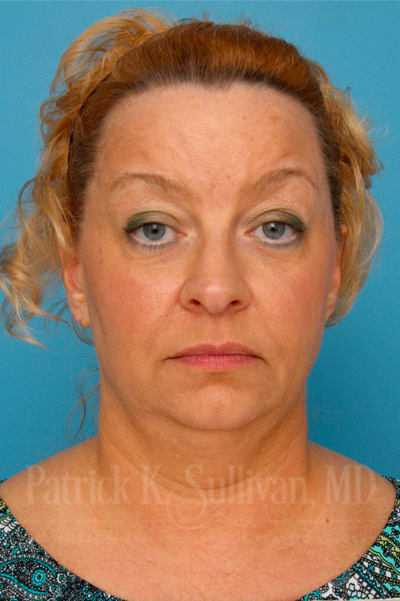 This is a 47-year-old woman who came to us with concerns about looking tired and sad. She was especially bothered by the appearance of her neck. 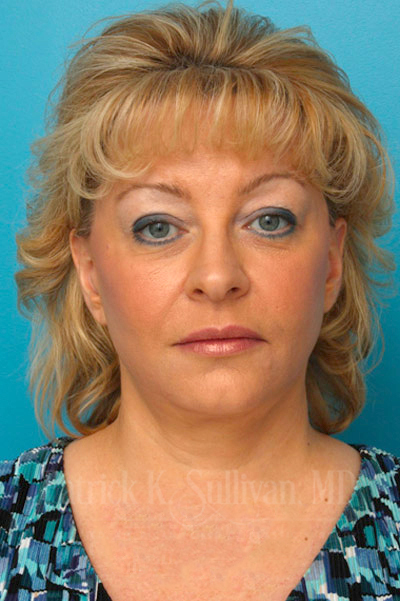 We provided her with several surgical options and she decided to have her eyelids, face and neck all addressed at the same time. She saw the advantages of having everything match artistically from top to bottom. She felt that this option was the best option to address all of her concerns. She also spoke about how this surgery would help keep her competitive in her youth driven work place. 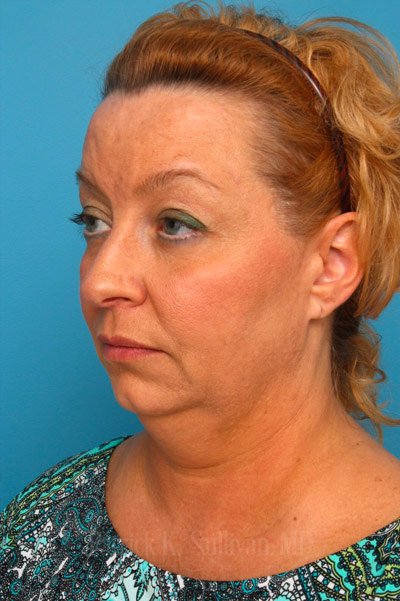 We performed a neck rejuvenation surgery with subplatysmal fat removal (removing a pocket of fat that she had inherited from under the muscle). This is fat that would not have been possible to remove with liposuction. In fact, liposuction usually makes a problem like hers worse. 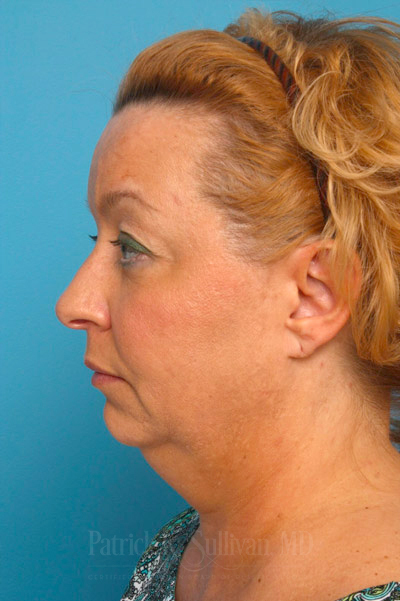 We released the submental crease under her chin to further smooth out the chin and neck area. Liposculpture/fat injections were done to fill out deflated areas of the face including the area between the jowls and the chin. 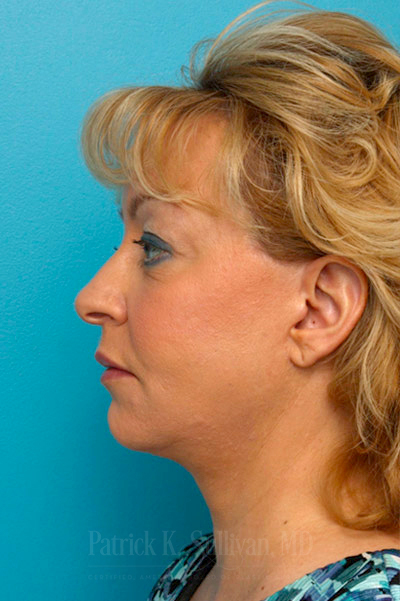 Fat injections were also done to augment the chin in an effort to create a better artistic natural facial balance.